The state’s new registration system is a model for the rest of the country. 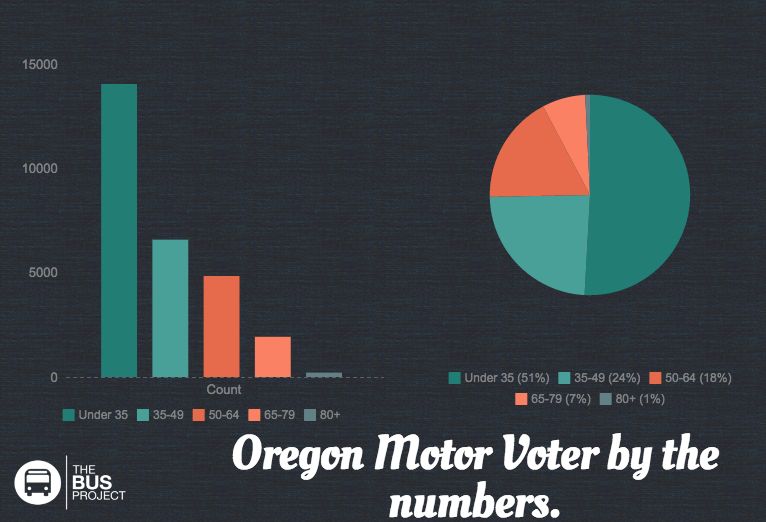 Oregon’s presidential primary is tomorrow, but the bigger story is how many new voters there are in the state. More than 100,000 new voters have registered so far in 2016, over half through the state’s new automatic voter registration system. The 51,558 voters signed up through automatic registration is an average of 12,889 new voters per month, three times higher than the average of 4,163 monthly registrants in 2012. “It looks like it’s going to be a big success,” says Nikki Fisher, executive director of The Bus Project, which helped conceive of the program. The number of voters registered has been higher than initial projections and half of new registrants are under 35. “All indications are that new people are being brought into the system,” Fisher says. 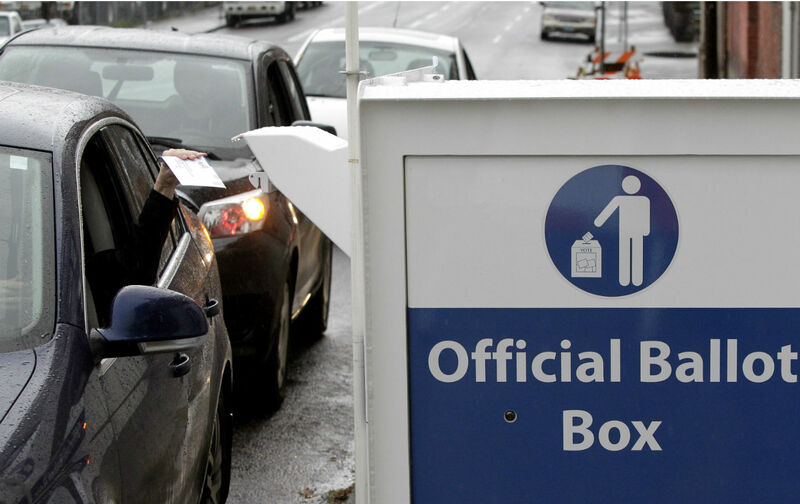 Oregon’s registration system should be a model for the rest of the country. 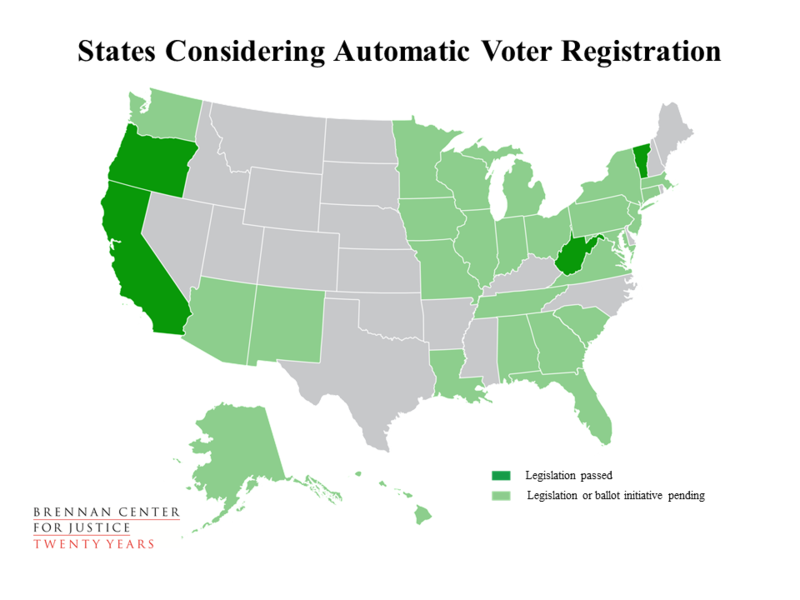 Three other states—California, Vermont, and West Virginia—have passed automatic registration laws this year and 28 states are considering the reform, according to the Brennan Center for Justice. “Oregon’s system is truly groundbreaking—and it offers a clear path forward for states looking to make their elections more accessible and convenient for voters. It costs less, increases the accuracy and security of our voter rolls, and curbs the potential for fraud,” writes Jonathan Brater of the Brennan Center. In February, President Barack Obama called on legislators to “make automatic voter registration the new norm across America.” In a campaign speech in June 2015, Hillary Rodham Clinton embraced automatic, universal voter registration for eligible citizens once they turn 18, and Senator Bernie Sanders introduced an automatic registration bill in Congress in August. Senator Sanders’ bill was the second automatic registration bill introduced in Congress this year; in June, Rep. David Cicilline and 45 cosponsors introduced legislation requiring automatic registration for federal elections at all DMVs. Oregon is also leading the way on voting rights by adopting reforms like all-mail voting, online voter registration, and pre-registration for 17-year-olds. At a time when too many states are restricting voting rights, “we’ve been committed in Oregon to removing barriers to voting,” says Fisher. Currently, 46 percent of eligible 18- to 24-year-olds are not registered to vote; 41 percent of eligible Latino citizens are not registered to vote; 44 percent of eligible Asian American citizens are not registered to vote; and 37 percent of eligible people with incomes less than $30,000 are not registered to vote. Automatic registration can solve this problem. In California alone, 6 million new people could be added to the rolls when the state adopts the new registration system next year.